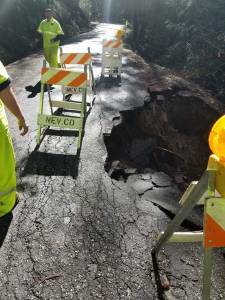 NEVADA CITY, Calif. March 23, 2018 – North Bloomfield Road, between Rock Creek Road and Edwards Crossing Bridge, will be closed to through traffic for utility work and/or roadwork on March 23, 2018. The closure will take place between the hours of 9:00 AM and 5:00 PM (weather permitting). Access to businesses/residences will be maintained, however through traffic will be required to use an alternate route. 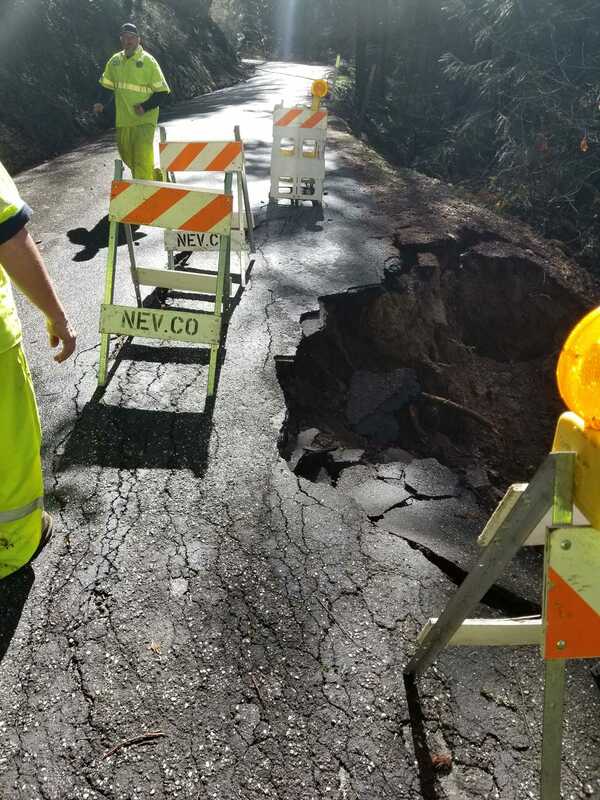 A cedar tree has fallen on North Bloomfield just south (Nevada City side) of the Edwards Crossing Bridge. The tree’s root ball has taken out about half of the existing road at this location. The tree also damaged an AT&T phone line, affecting customers in the area.